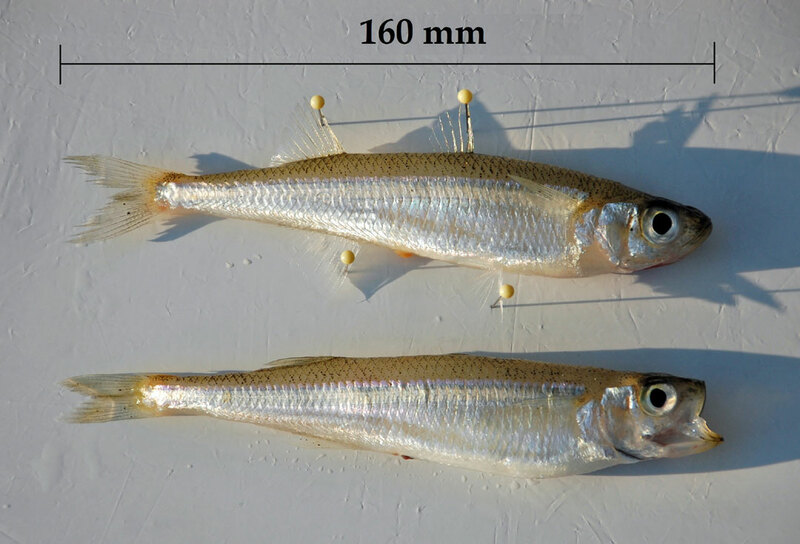 Sand Smelt, Atherina presbyter, infected with the Black-spot parasite. NOT Cryptocotyle lingua. 5. Fish e.g. Butterfish, Rockling, 3-spined Stickleback, Bullhead.